To say that video media is everywhere these days is an understatement. When YouTube went live for the first time in 2005, nobody knew how many hours of content we would eventually consume and upload on a daily basis. Now, YouTube is the second largest search engine behind Google, and boasts a monthly watch time of 3.25 billion hours. Platforms like Facebook and Instagram have taken on their own video media endeavors, allowing users to go live and stream video on the spot, as well as communicate á la Snapchat with their contacts. Content marketing and search engine optimization (SEO) have evolved alongside digital media, and it comes as no surprise that video is taking the marketing world by storm. As the top trends in video begin to change, their place in the digital marketing space is becoming ever more present and vital to getting your brand and message across. Take a look at some of these trends that are taking video and marketing to the next level, and see how you can incorporate them into your content marketing strategy. It’s no surprise that the digital age has impacted our ability to focus. With gifs, boomerangs, and constant timeline refreshes, the average human attention span has ticked down to around 8 seconds, similar to that of our friend the goldfish. Spend 5 minutes on Facebook and you’ll be inundated with a barrage of messages and product advertisements, and most of them you might not even remember. That’s why the most successful brands effectively utilize well-made, clear cut, and to the point videos to resonate with their target audience. While it’s true that the average watch time per user has increased over the years, nine out of 10 of the top videos on Facebook were under 2 minutes long. Long form video certainly has its place, but when it comes to getting your brand’s message across, the quicker you can capture your audience, the better. Spontaneous content—videos produced on the fly—are great at this.They get people excited and draw them in efficiently without bombarding them with info they didn’t ask for. Platforms like Facebook, Instagram, and even Twitter are incredibly effective for this kind of on-the-go video content, with Insta and FB utilizing the livestream feature for true spontaneity. Things like Q&A’s, quick tutorials, and AMA’s (Ask Me Anything) strengthen the personal connection between your brand and your audience, and have a great place in the live video platform. Check out our blog to learn the best ways to use these livestreams to your advantage! As online social media and mainstream media begin to merge into one, it’s more important than ever for companies to emphasize their customer relations by showing their humanity. One of the best ways to connect with your audience comes in the form of bringing them into your brand’s space, and allowing them to see what goes on inside the machine. Take a look at Buzzfeed Video, a company that has been a pioneer in this kind of audience to brand connection. Buzzfeed’s success in their brand has stemmed widely from their openness to let their viewers into their office space, and give their employees a platform so effective that they’ve become known on a first name basis (ever heard of The Try Guys or Ladylike?). By inviting your audience to take a peek into your brand’s inside going-ons, you create more opportunities to humanize your brand and allow your audience to trust you, as well as come back for more. On YouTube, the search for “how-to” videos are growing by 70% on a yearly basis, and have been since 2015. As the popularity and accessibility of creating video content increases, people are turning to videos to learn a variety of things—from quick crafts to full on top level courses that can rival university 101’s. In addition to these tutorial style videos, the desire for educational content also works through the use of video presentations and accessible webinars. People want to feel included in exclusive opportunities, and by opening the floor to your audience and potential customers, you allow them to become part of your company and brand, giving them access to your brand’s expertise while also providing a medium to actively participate in your company’s message. Reviews are everywhere. When’s the last time you bought something from Amazon or ventured to a new restaurant without at least glancing at what other people have had to say online? More and more, consumers are relying on reviews to make sure they’re getting the most out of the products and services they’re looking to invest in. By sharing your expertise and opinion on a product or service, you create an interactive space where your audience can engage in your services while getting answers to questions they would otherwise just Google. Demonstrating use of these products also serves as a kind of instructional guide for your audience, and gives them a clear idea of what they’re looking for as well as what you as a company can do to help them out. When done correctly, video is the most engaging form of media to effectively get your message as a brand across. 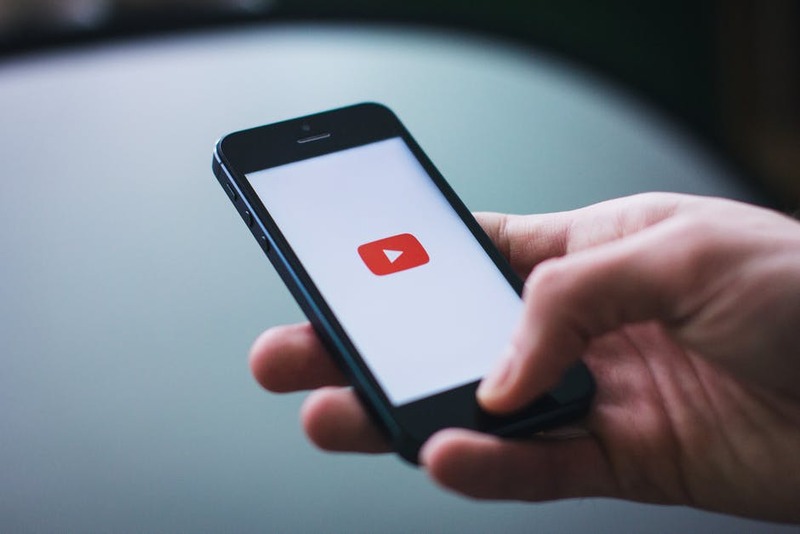 Using video in your content marketing strategy can change the face of your business and enhance your audience and potential customer connection. We humans engage through our senses, and video media is all about sight, sound, and emotion. The viral nature of video media, combined with the opportunities to connect your brand to your audience, create the perfect environment for ideas to grow, and to get your company’s name into people’s mouths. By utilizing these tips and video trends, you’ll be sure to capture your audiences’ trust, and build your company into a well-oiled, brand-recognized machine.